I have been testing The Great British Grooming Co Beard Wash, this is the first product I have tested that is available on the high street, in fact all of The Great British Grooming Co products are available from Superdrug. The sleek black branding is perfect for the high street and it reminds me of the gift box products that do the rounds at Christmas. On the front it says “Designed to cleanse and untangle your beard”. The Beard Wash from The Great British Grooming Co smells like a main brand deodorant and smells very pleasant. I only needed to use a small amount of the Beard Wash and it lathered up very well, that’s even in our Essex tap water that normally kills the bubbles from most products. The wash did an extremely good job at stripping out the moustache wax, balm, oil and remnants of that messy bacon and egg sandwich from lunchtime. I was satisfied that this beard wash did a good job at cleaning my beard, remember though that you shouldn’t use a beard wash or soap every day. The Beard Wash is actually very good at doing what it was designed to do, however there is one problem for me and that is the ingredients. It’s nothing that you wouldn’t find in your shower gel or hair shampoo and the majority of guys won’t even be concerned and rightly so, but I have been spoilt by products that are 100% natural and that’s beneficial for me as I get dry and cracked skin behind my ears if I use certain products, I must mention that the test didn’t cause dry skin as I have only tested for a certain period of time. 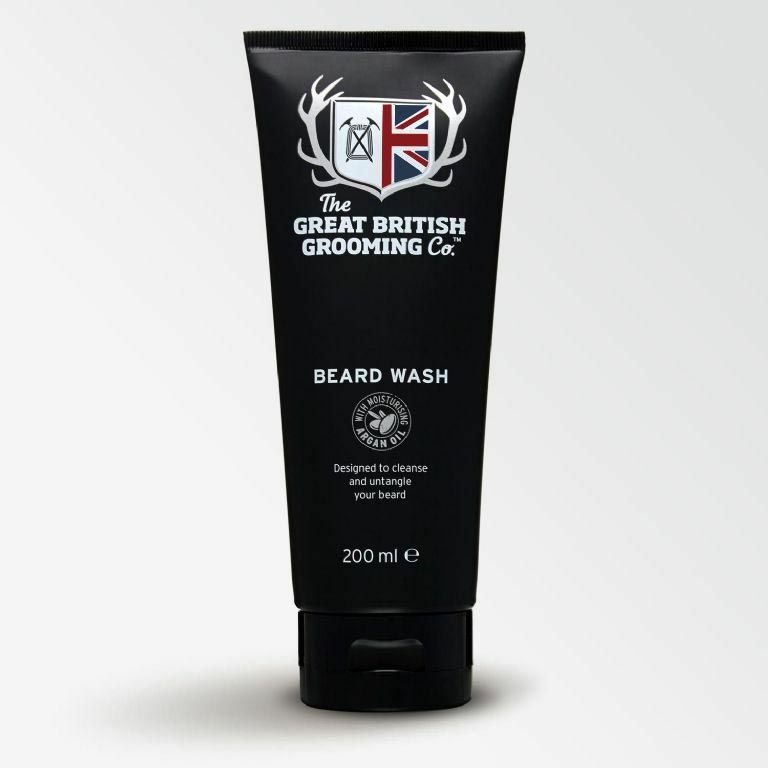 The Beard Wash from The Great British Grooming Co is a decent beard wash, there is also the added benefit of being able to get it from your local high street as well as The Great British Grooming website, also its not going to break the bank at £4.99 for 200ml.